If you’re preparing your car to go off-roading, the most important feature to update is your car’s tires. Regular all-season tires aren’t designed to handle the tough conditions you’ll face as you go off the grid. Here are the most important characteristics you should look for when you choose off-roading tires. As you look for your ideal off-roading tires, consider how you will use them. Are you looking for tires to use exclusively in extreme conditions? In this case, you should choose an extreme tire. Extreme tires have aggressive tire tread patterns. Unlike other tire types, you’ll see tread patterns on the side walls of the tire as well. You’ll find extreme tires built for different terrains, such as mud and rock. While these tires perform well on tough terrain, they don’t do well on regular roads. They have a low mileage and are very noisy and bumpy. If you plan to use the same tires for your off-roading adventure that you use for your daily commute, consider all-terrain tires. These tires are built like all-season tires, but with a few adjustments to improve their off-road performance. Tires can be built in two different ways: radial or bias. In a radial tire, the sidewall and tread work independently. In a bias tire, the tires’ plies overlap, forming a thick, interdependent layer. Today, bias tiers are much less common. Even so, some people still choose them because they perform so well in off-road conditions. The tire tread doesn’t hold onto mud and rocks, giving it a strong grip. However, bias tires perform very poorly on pavement. On the other hand, radial tires perform well both off-road and on-road. Their off-road traction isn’t as strong, but they last longer and drive smoother than bias tires do. When it comes to off-roading, bigger is often better. Larger tires can provide improved traction. But most importantly, they raise your vehicle higher off the ground, allowing it to clear certain obstacles. Many off-road enthusiasts choose 33-inch or 35-inch tires. However, the ideal size of tire depends on your vehicle. Some vehicles can handle larger tires than others. If you choose larger tires, you’ll need to raise the suspension to accommodate the tires. Otherwise, the tires will rub against the fenders. You may also need to make other modifications. For example, larger tires can quickly wear out your shocks, so it’s best to replace them with performance shocks. Ask a tire manufacturer about modifications for your specific vehicle. Once you’ve chosen the right tires, you’ll need to make sure they’re ready to go off-road. We already mentioned raising your car’s suspension. Another important step is to add a locking differential if your car doesn’t already have one. This feature ensures your right and left wheels turn in unison. After all, the difference in speed between your right and left tires can cause you to lose traction. A locking differential corrects this problem. Right before you go off-road, release air from your tires until they reach between 20 and 25 psi. This increases the length of the tire tread that comes into contact with the ground, making it easier to drive over tough terrain. Keep in mind that even with the highest quality tires and all the right equipment, you can still get stuck in rough conditions. Be prepared to bail yourself out. Carry a tow strap, a winch, or a traction device. If you need help choosing the right tires, talk to the experts at Extreme Wheels. 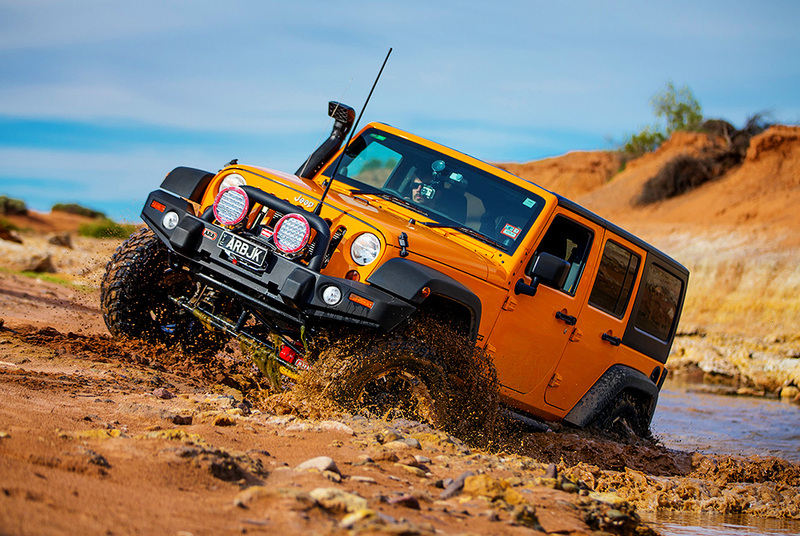 We’ll make sure your vehicle is prepared for its off-road debut. I like that the article goes over hwy size is so important when it comes to choosing the right off road tires. After all, the larger area the tire has on its tread then the more grip it can get on the ground. This can be really helpful when off-roading where the ground can get very uneven sometimes.